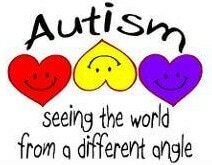 ABACAS Special School Kilnamanagh is an evidence based school for children with a diagnosis of Autism. We have a roll for 30 students and each student has an individualised educational programme designed to meet their needs as identified through formal assessment. Pupils are assigned to a classroom according to their abilities and the requirements of their individualised programme. Across the school, we have 16 SNAs and 3 classroom teachers. In February 2011 we became a school under the Department of Education and Skills and we are now regulated by the Regulations of Primary Schools in Ireland. We offer a broad and balanced curriculum that is child-centred and evidence based to all pupils, taking into consideration their learning styles, as well as, individual needs and abilities. We had our WSE in March 2015 and, following our transition, the school was granted its permanent recognition.